A few kilometers from our guests rooms. The estate Louis Moreau was born from the passion of a family since 1814. The love of this family for great wines, led to the purchase of plots of Chablis great wines and 1er crus. Nowadays, they own five Grand crus including a family monopole. « Grand Cru Clos Hospices dans les Clos » acquired by the family in 1904. The domaine works many plots within the appellations of: Petit Chablis, Chablis, Chablis 1er Crus, in full harmony with the environment. Today, Louis Moreau’s goal is to produce exceptional wines while preserving the environment for future generations. Throughout the year, Louis practices high quality methods ending with handpicked harvests, followed by small volume transport to the winery. Chablis and Chablis 1er Crus are vinified in stainless steel tanks. This to to retain all their minerality and fineness. As for the Grands Crus climats, their power and richness allow to treat each one either in stainless steel tank or in oak barrels. This depending on its character and on the vintage. Domaine Louis Moreau exports its wines to more than 30 countries over the world. We can find their wines on our French tables and they are regularly awarded in prestigious competitions in France and abroad. 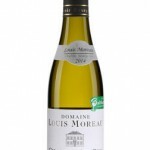 Domaine Louis Moreau marries the excellence of Chablis with a deep respect for nature. Do not hesitate to call our guests rooms for accommodation when visiting Burgundy.